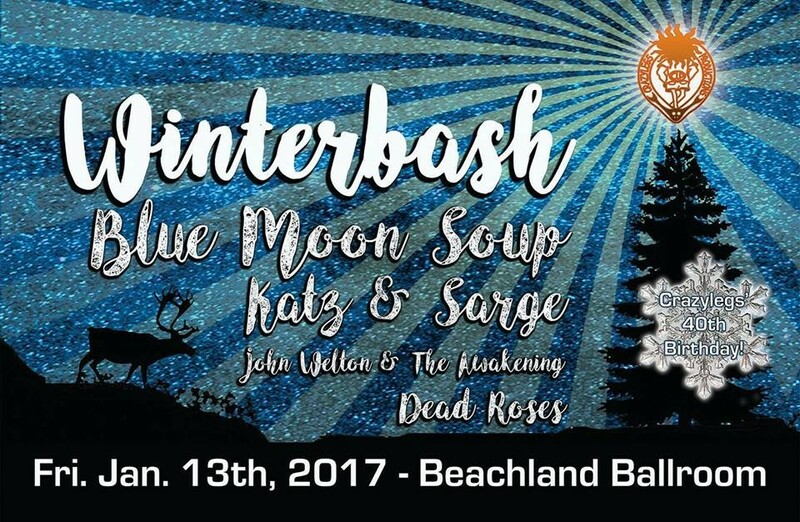 Hailing from Yellow Springs, Ohio, Blue Moon Soup, headliners of tonight's Winter Bash 2017, have been holding down the Buckeye State’s bluegrass scene for several years now. They’re mainstays on regional festival bills, and their shows in Cleveland are always a good time. Check out last year’s Luna for a dose of back-porch acoustic music. It’s a nice album, and the band makes good use of quick interlude-type pieces to keep the sense of flow. “Why My Lady,” for instance, showcases Blue Moon Soup’s knack for rhythm, and you can surely hear how capable this band is of turning any venue into a summertime dance party (no matter the time of year). (Eric Sandy), 9 p.m., $10. Beachland Ballroom. A couple of years back, local Bowiephile Thomas Mulready began hosting “An Evening With(out) David Bowie,” an in-depth presentation featuring rare video clips, "needle drops," obscure cuts and recently surfaced details regarding the Thin White Duke. The show offers "a multitude of factoids and little-known background informed by a framework of themes the artist mined at every stage of his career right up to his untimely passing and beyond." Part 1 concentrates on "the early years, from Davy Jones to the Thin White Duke." Part 2 features material from "the mid-to late period: from Berlin to Blackstar." Each presentation concludes with live music by local heroes Vanity Crash. Part 1 begins tonight at 7:30, and Part 2 follows at 9:30 p.m. The two programs repeat tomorrow night as well. (Jeff Niesel), 7:30 p.m., $15-$25. Bop Stop. Local Marcus Alan Ward is greeting 2017 with something that we could all use: a groovy, upbeat soul number called “BodyFeelGood,” one of plenty more singles to come this year. The tune will be officially “released” at tonight's show. Right now, Ward happens to be one of the most buzzed-about artists in Cleveland. We put him on the cover of our magazine last summer, and we caught up with him again as the calendar flipped anew to discuss the song and his upcoming plans. “BodyFeelGood” is the first song he wrote among his current batch, the incremental follow-up to last year’s Little Sunshine. It’s also the first song that Ward has played live bass on in the recording studio. (Sandy) 9 p.m., $8 ADV, $12 DOS. Grog Shop. One of the most compelling hip-hop groups performing today, Run the Jewels dropped their third album on Christmas Day, and it’s a knockout. With Killer Mike and El-P trading verses, RTJ has given the American hip-hop scene the sort of politically charged, angry, retribution-seeking music that it’s been needing (more and more, in fact, as this country slips into a more troubling era). On the third album, the beats are deeper and the vocals are more introspective than ever (see “Thursday in the Danger Room,” for example). This show sold out ahead of time, but do what you can to lock down some tickets: This is guaranteed to be one of the heaviest shows in Cleveland all year. (Sandy), 8 p.m., $25 ADV, $28 DOS. House of Blues. Growing up in Nashville as the son of alt-country icon Steve Earle, who had Earle with his third wife, Carol-Ann Hunter, whom he would divorce, meant that Earle would absorb country and roots music. Those varied influences can be heard on his most recent albums, 2014’s Single Mothers, and the companion disc, 2015’s Absent Fathers. Single Mothers commences with “Worried About the Weather,” a tender ballad punctuated by humming slide guitar. The album also touches on blues (“Single Mothers”) and rockabilly (“My Baby Drives”). Absent Fathers is just as eclectic. 7 p.m., $25 ADV, $28 DOS. Music Box Supper Club. New York-based singer-songwriter Margaret Glaspy is proof that you can make a great sounding album with nothing more than a laptop. She recorded her first EP, 2012’s Homeschool, at her Brooklyn apartment. The tender songs show off her fluttering vocals and poetic sensibilities, setting the stage for terrific full-length debut, last year’s Emotions and Math. Expect to hear a slew of songs from it at tonight's show. (Niesel) 8 p.m., $12 ADV, $14 DOS. Beachland Tavern.